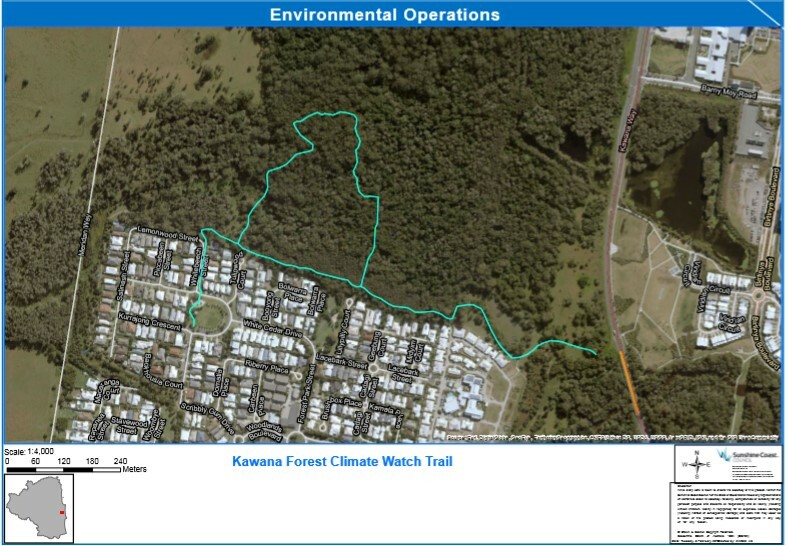 The Sunshine Coast Council is working to establish a number of ClimateWatch trails in the region and would like to establish one in the Kawana Forest trail network. ClimateWatch was developed to better understand the effects that climate change is having on our earth’s natural processes. The concept is based on observers (FaunaWatch members, bush care groups, community groups, anyone from the public) recording phenological observations of plant and animal species. We are hoping to develop a trail that can be fun and interesting for all ages. (No experience needed.) Ideally, we want to identify and include species that may have seasonal variations, e.g. plants flowering in spring, dropping leaves in autumn; birds mating, nesting, at different times of the year, etc. This is so we can record and identify potential changes in phenology (the study of cyclic and seasonal natural phenomena, especially in relation to climate and plant and animal life) over extended periods of time. 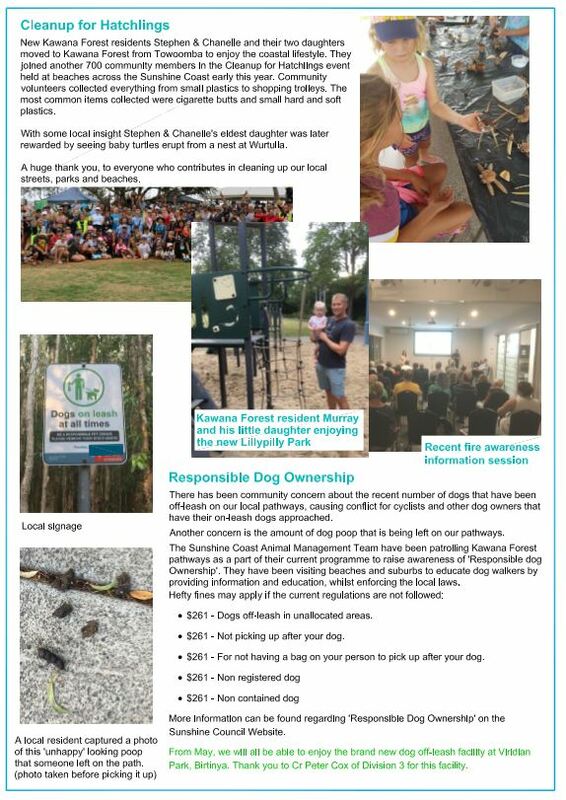 Join Renee Currenti (Sunshine Coast Council) and FaunaWatch coordinator Paul Smith and other local experts as we walk the proposed trail. The purpose is to discuss the proposed trail (route) and identify species, mapping the trail against the ClimateWatch species list and identify other species we should include. 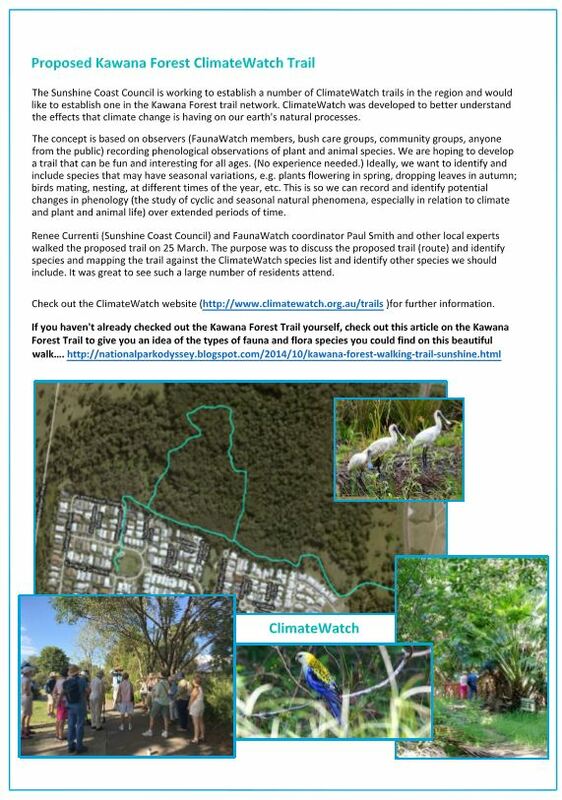 Check out the ClimateWatch website (http://www.climatewatch.org.au/trails )for further information. Meeting place: Kurrajong Park BBQ Shelter (Any changes to plans due to weather conditions will be posted on our Facebook page). *Please wear appropriate footwear suitable for muddy sections of the pathway from the recent weather events and apply insect repellent. 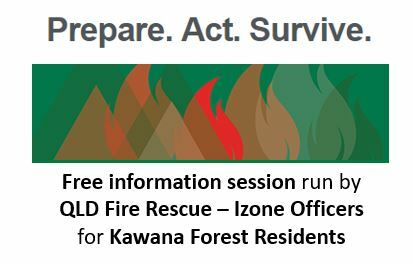 Following on from my recent email (8 Feb) regarding our onsite meeting with the QLD Fire Rescue team, we have received many expressions of interest to organise a Kawana Forest Community: Prepare. Act. Survive information session. 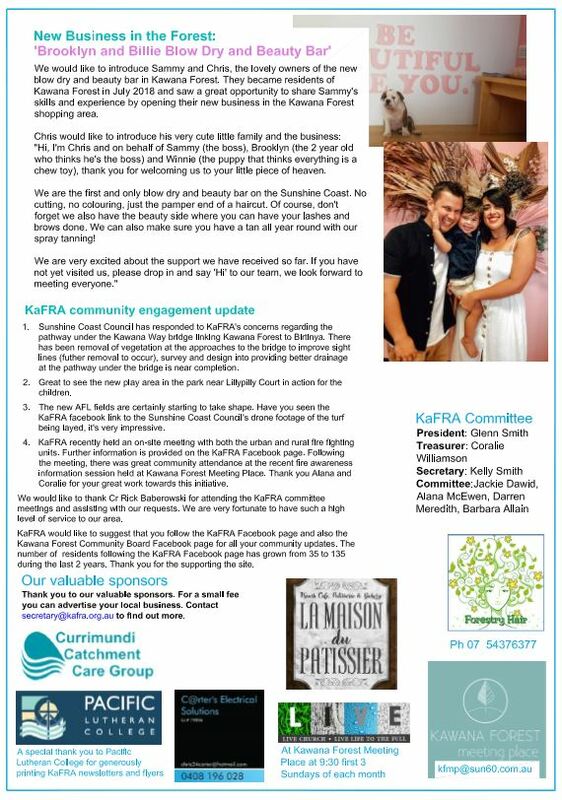 This will be run by the QLD Fire Rescue Izone Officer, who is familiar with our estate and surrounds. Come along and bring all the family so you can be prepared together. 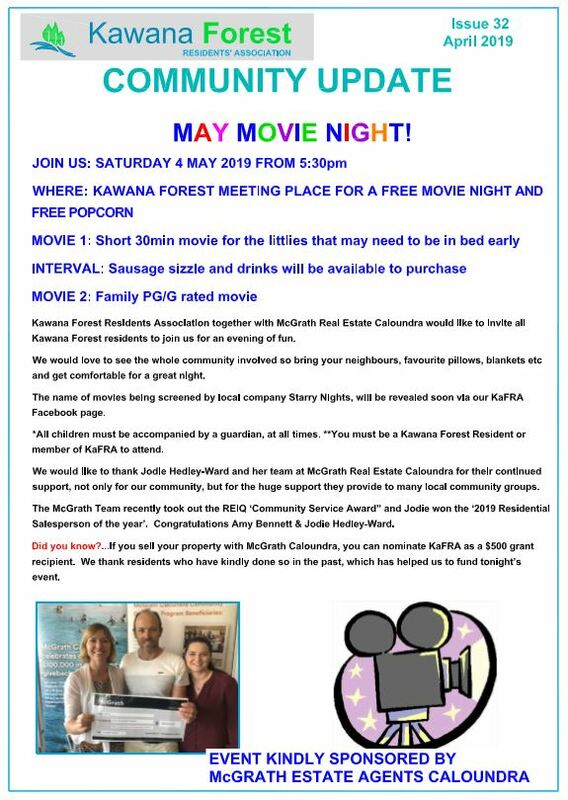 We have also published this invitation on our Facebook page to pick up some non-member residents who follow us but we don’t have time to get a newsletter out beforehand so please share this invitation with your neighbours and friends in our estate.